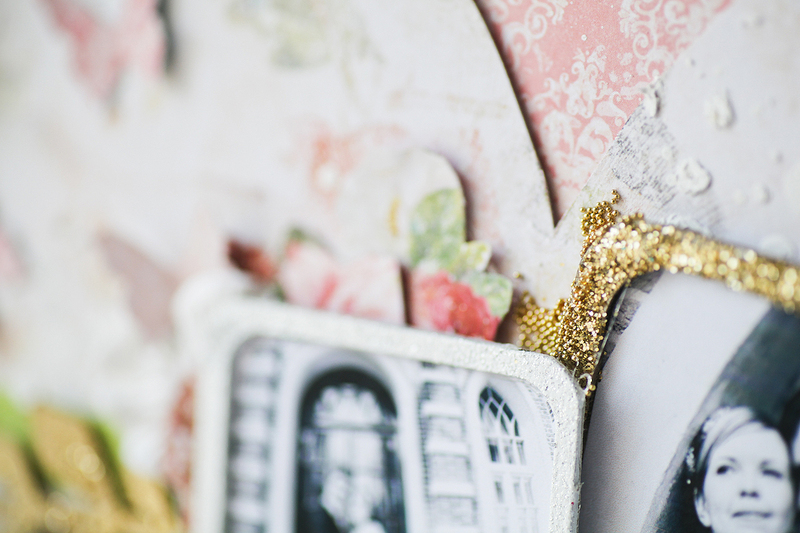 Hello Blue Fern Studios fans! I'm in a very lilac mood this month and keep on making layouts for my wedding album. The chipboard is embossed by Antique gold powder. 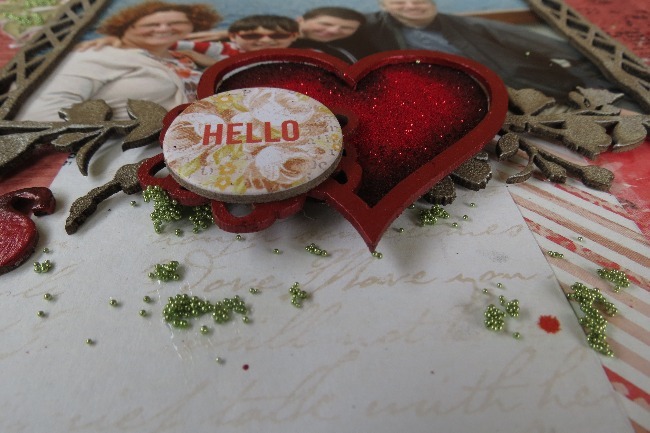 I'm a great fan of fussy cutting and layering. And I never forget to add seedlings in the end of each project. 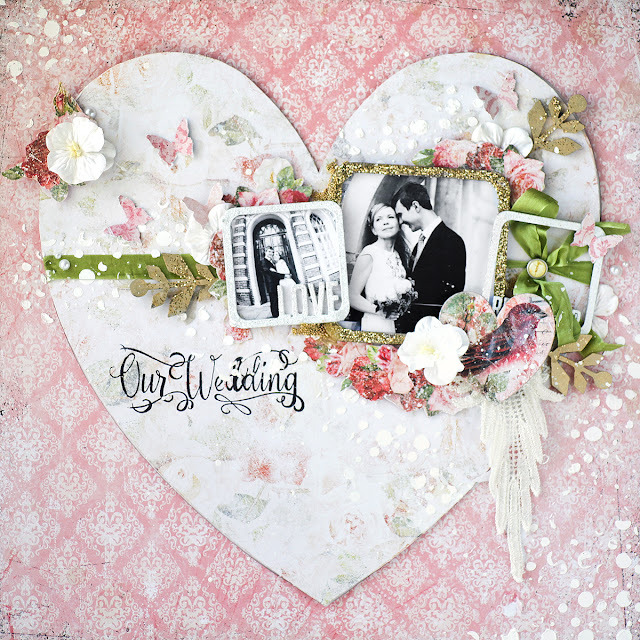 The other layout is really tener and sweet. 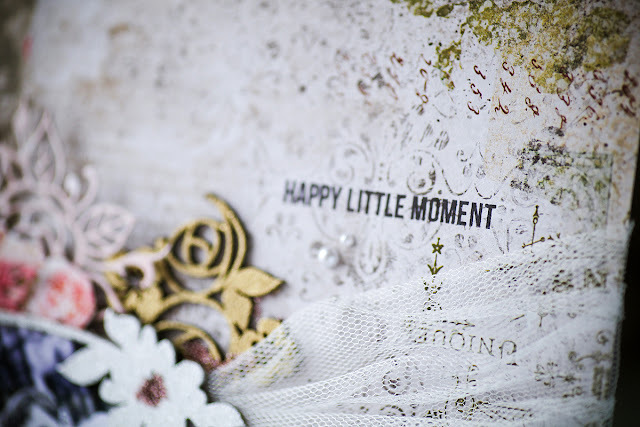 How I love the Blissful paper from In the Mood collection. There are so many ideas in my head with this heart shape. 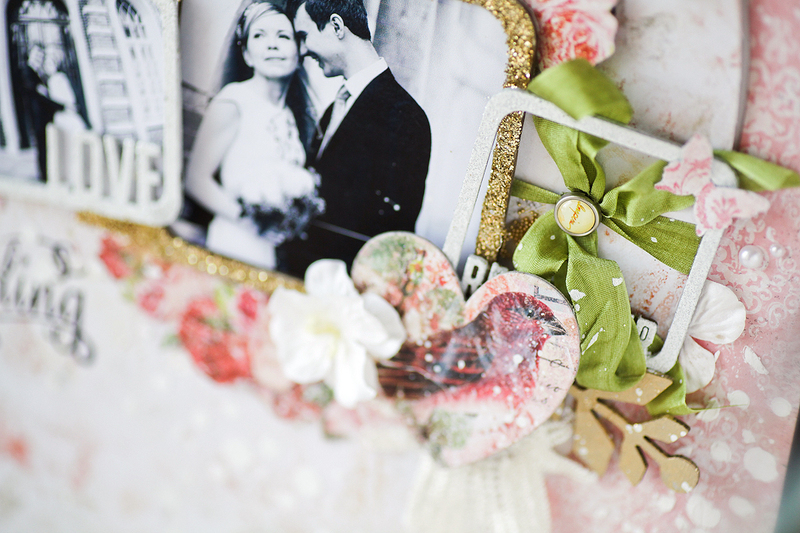 The green ribbon and a piece of lace make the layout very soft. 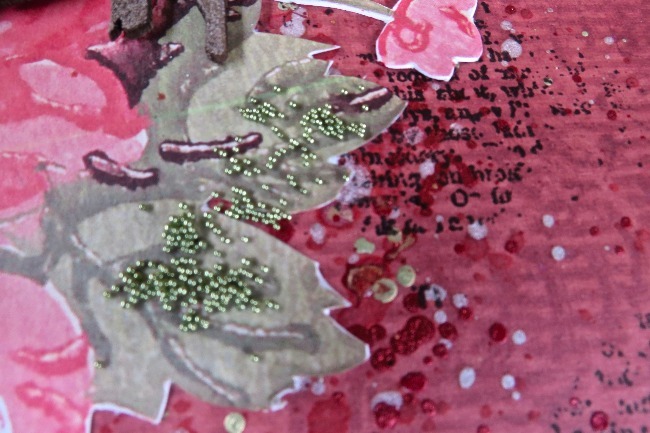 And my traditional off the page project is dedicated this month to the pending Easter. 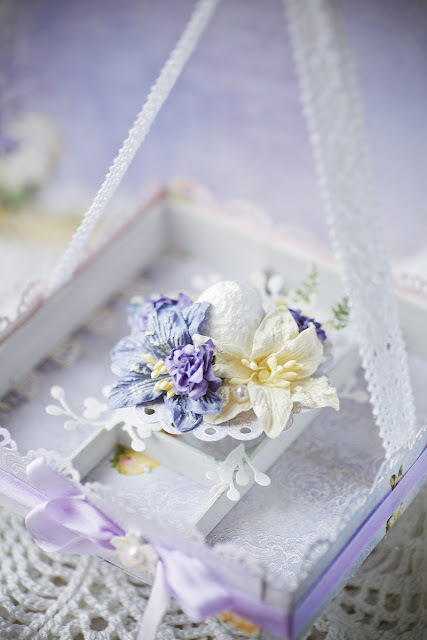 Late winter lilies embelish the basket and suport my lilac mood. First of all, I will introduce the spring layout. I go to hunt strawberries that I go every year. I mixed two kinds of collections and used it. 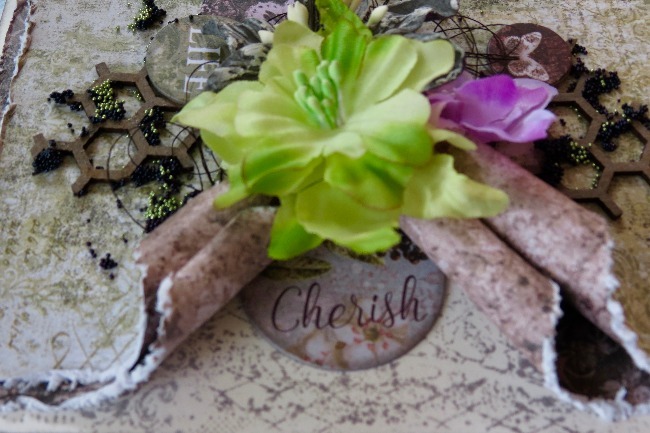 I often use this flower.Easy to use size and color! Also find your favorite embossed powder! ! ! 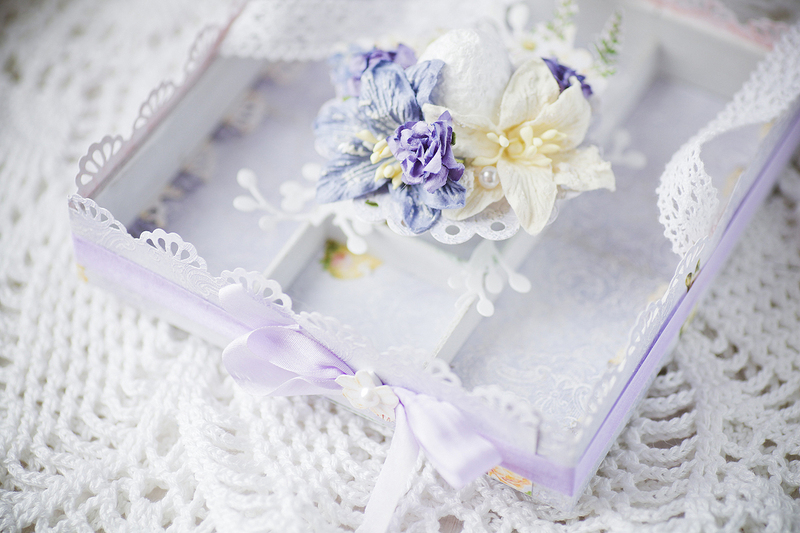 It is the color "IVORY". 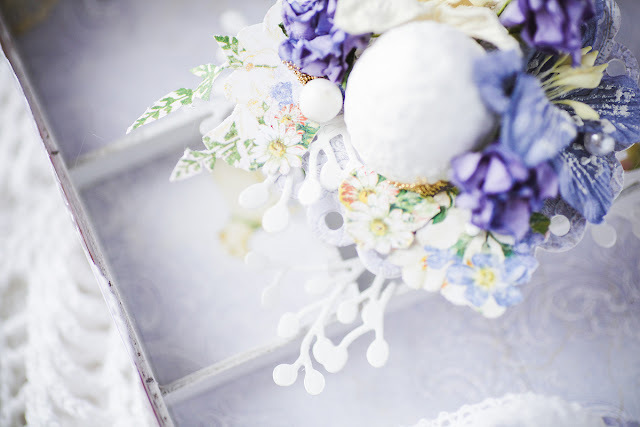 But I did not have this subtle IVORY! This is perfect color when not enough in white! Or almighty too much color ! Cupcake chip board (Party Cakes) is cute too ! Put paper on the cup part and draw with a white pen. Cream part is It's A GIRL pretty pink embossed powder. This picture was taken at the photo studio. It is my favorite picture. This embossed powder is also wonderful! It is Black & Gold. It is a feeling that gold lame firmly rides in black. So it's heavy in black. GOLD is flashy. It matches very well in the case. I also made a pattern using a stamp ”Tattered Harlequin”. If you press a black stamp, the layout will be tightened. seedilngs is the color Meadow. for the leaf chipboard (Rose Leaf). This seedlings is the color Twig. It is metallic and cool! A picture by younger sister's wedding of my husband was used! when a wedding ring was carried safely. This leaf isn't green and is gold. Such case is gold as expected! It becomes showy, doesn't it? A race is indispensable to make it gorgeous! This race is my favorite as it gets really gorgeous! 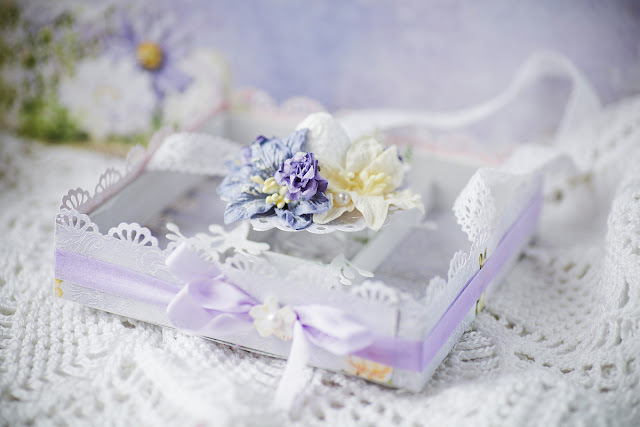 Thank you for also seeing my layout this month! 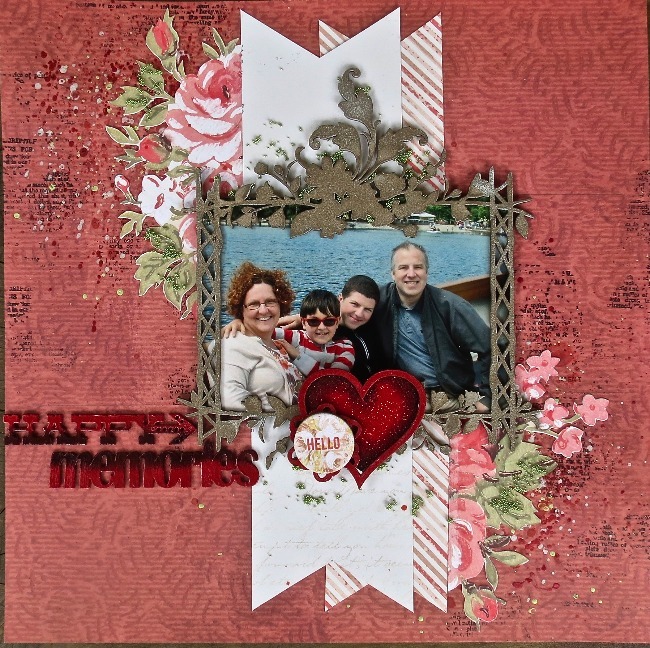 For this layout, I fussy cut along both edges and popped a large chipboard sheet behind it, before adhering it on top of my second piece of patterned paper. I could then add my chipboard popping out from along the sides. 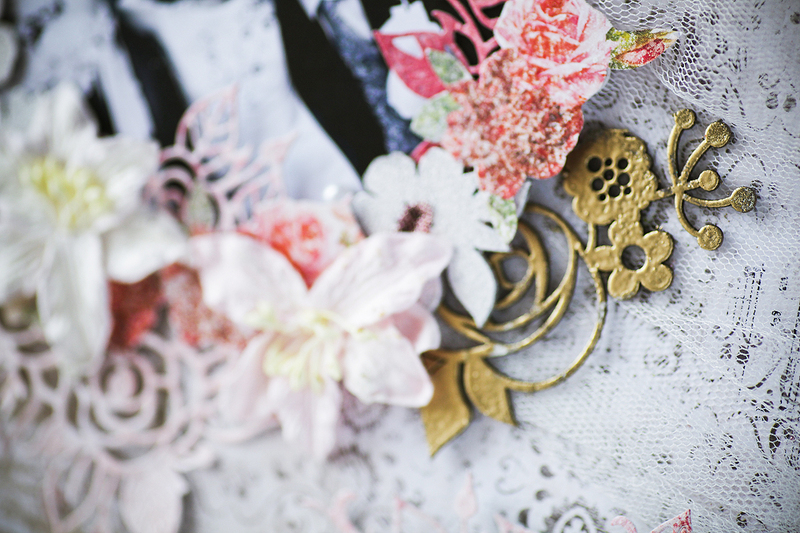 Theres also some fussy cutting, utilising the fabulous floral graphics to add more depth to my cluster. 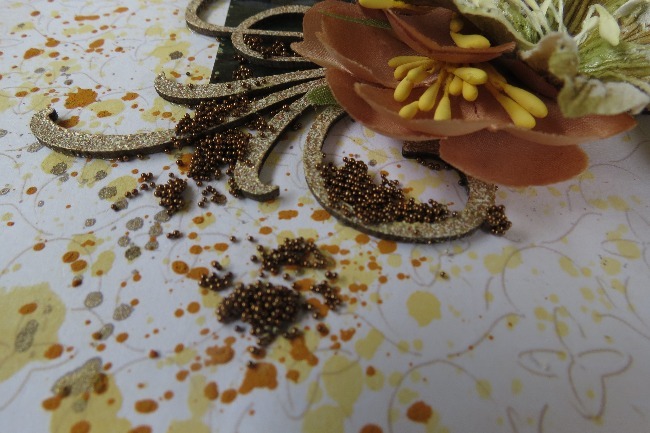 The details: sprinklings of seedlings and splatters of rust colours. 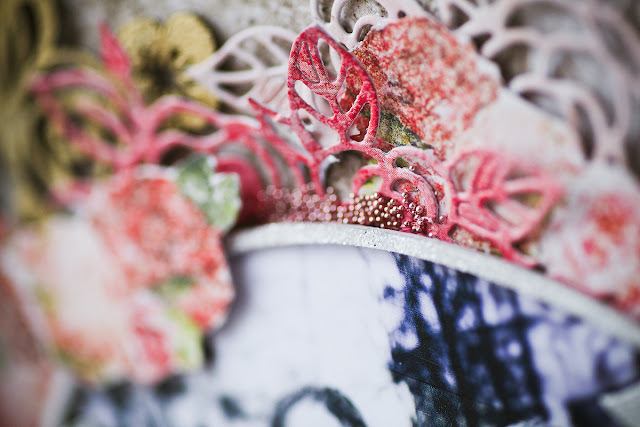 Chipboard has been embossed with Mushroom Embossing Powder - I find myself reaching for this one a lot, its a fab colour! This photo shows you all the dimension of this layout, lots and lots of layers, makes everything pop! 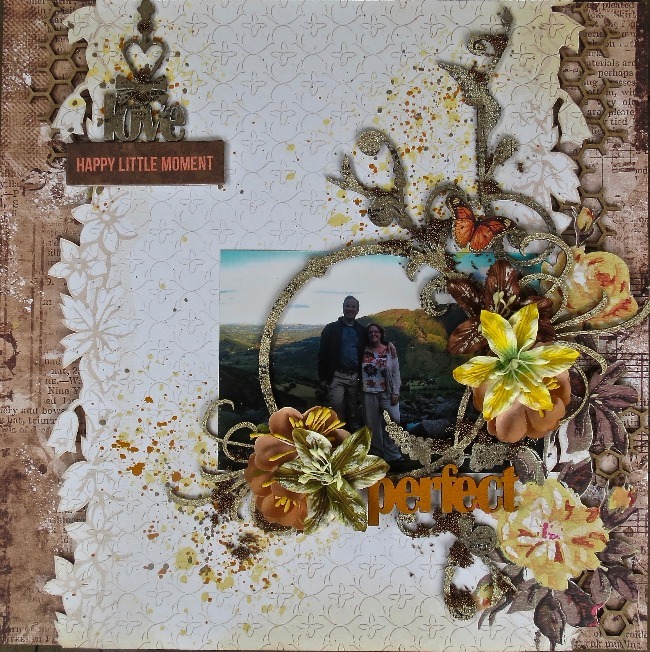 My second layout today again uses the lovely Amber & Apricot collection. Again there is a lot of dimension to this layout. The heart has been painted, while its till wet covered in red glitter, and then inked the edges with black archival ink. I love how the seedlings give that extra bit of interest and pop to a project! 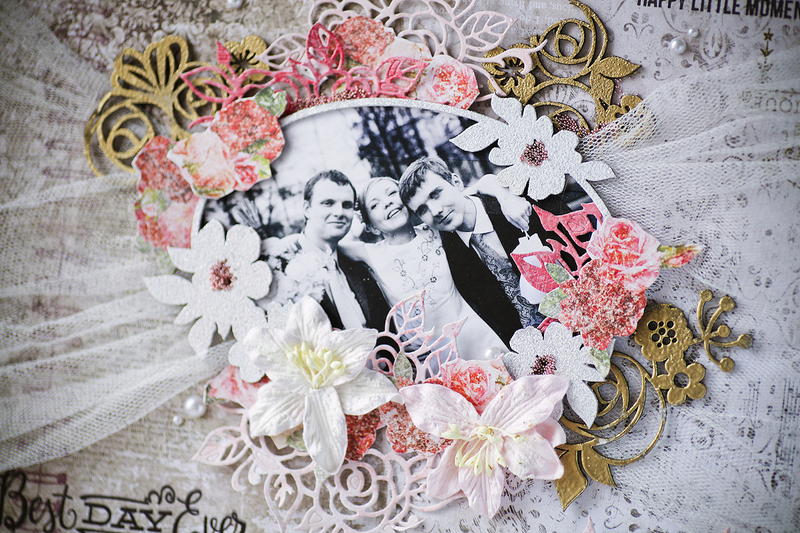 My final project for you today is two cards with two different collections. The first card uses the Remnants Collection. The Callaway piece of patterned paper is perfect for cards - out of the four different 6x6 patterns, I selected the two I wanted and attached them to my cardstock base. I used two different colours of seedlings to coordinate with the green/purple colour scheme I had chosen. The chipboard this time I left bare because I felt there was enough colour without introducing a new one. 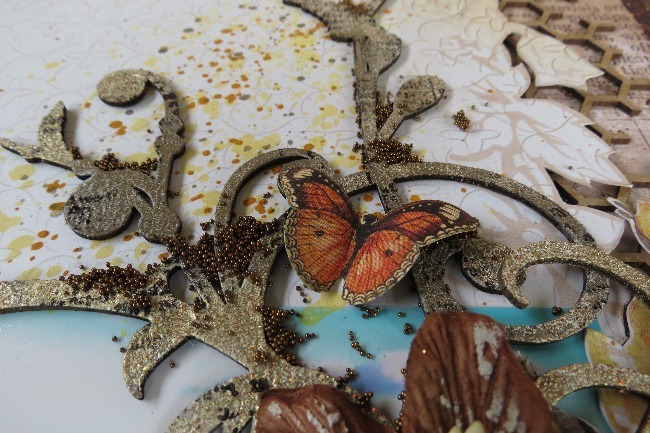 The printed chipboard pieces created further interest popping out from my cluster and curled paper edges. Simple but effective there was really nothing to this but I love how it turned out. 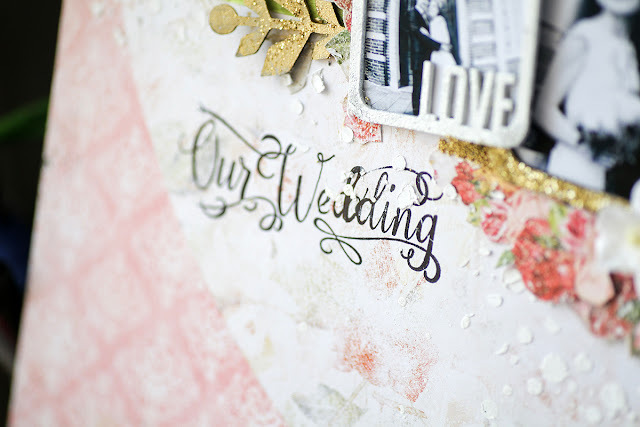 Layers of paper with layers of chipboard, some twine and a bit of paint splattering. You can see here the amount of layering involved. For this months inspiration I decided to play with few of Blue Ferns older collections. 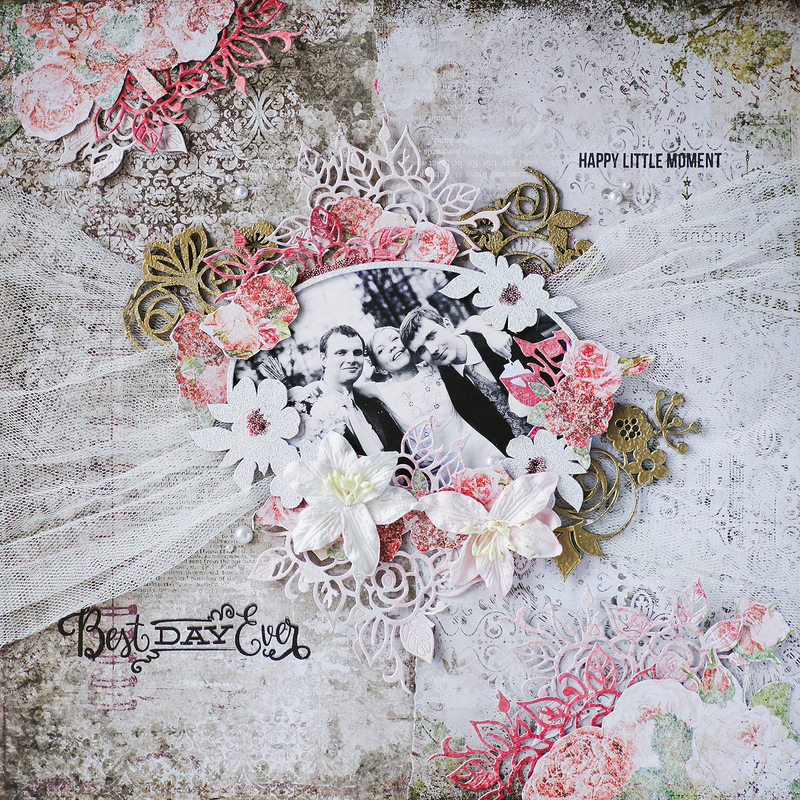 For my first layout I created this mixed media layout with the Chesterville Collection. Blue Fern Studios Products Used: Chesterville Pattern Paper- Holmes & Barton. Chipboard- Rose Collage & Winter titles. 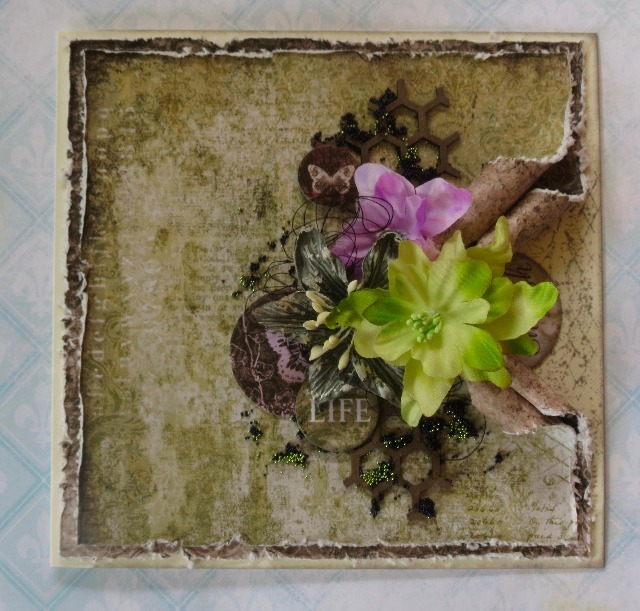 Stamps- Tatterd Newsprint, Spring Accents, Essential Textures & Butterflies. Seedlings- Harvest, Gold Nugget & Purple Haze. Glitter- Russett & White Gold. 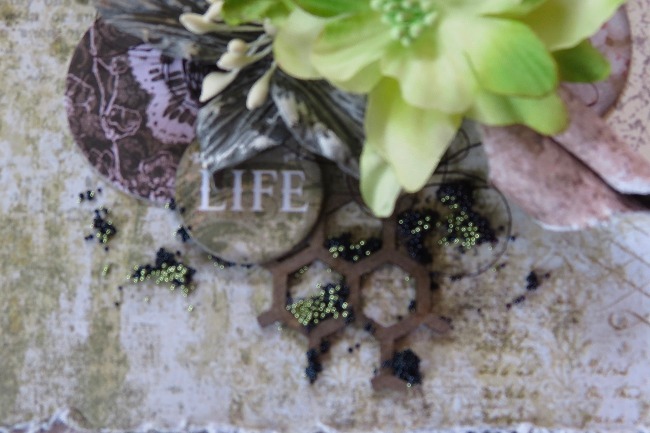 Embossing Powder- Black Gold, Ebony & Ginger. 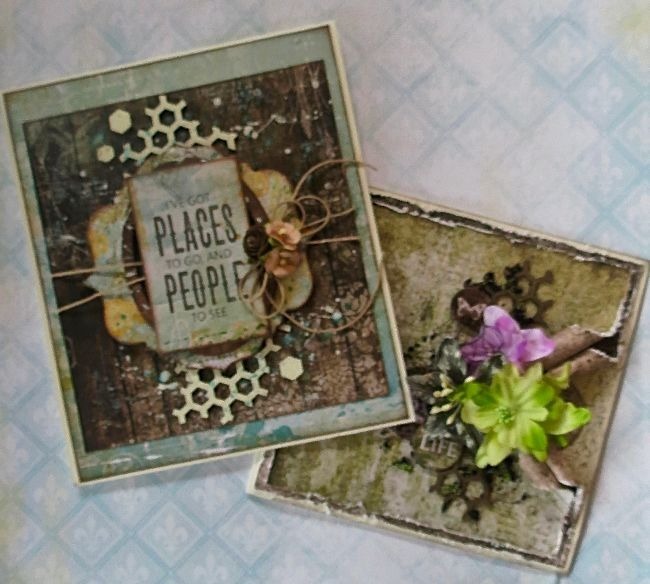 Blue Fern Studios Products Used: Wanderlust Pattern Papers- Calling Cards, Wanderlust Petites & Seascape. 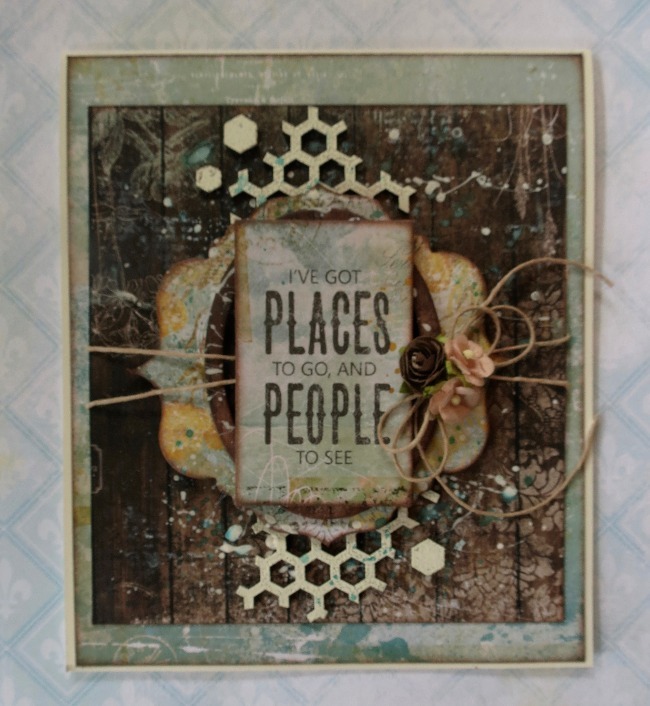 Wanderlust Pattern Chipboard. Unfortunately I wasn't able to create a video for you all this week, but instead I have these to sweet thank you cards. Blue Fern Studios Products Used: Heartland -Bicycle for two Pattern Paper, Homespun- Calling Cards Pattern Paper. Stamp- Gratitude. 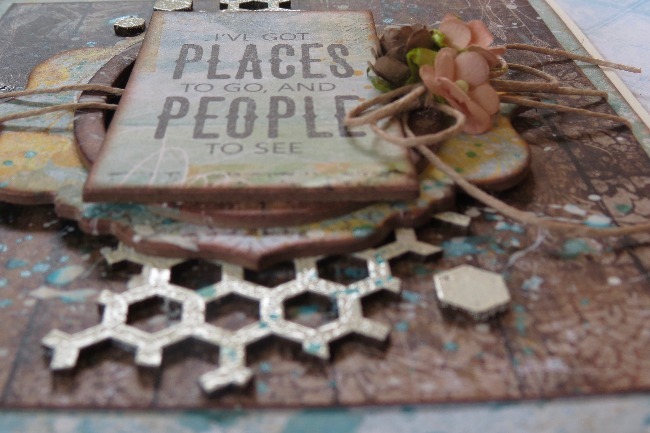 I hope that I have inspired you in some way, but if you are looking for more inspiration make sure you stop by and join the Blue Fern Fanatics Face Book Group!